New Jersey Legal Separation Laws | Lois G. Schwartz, Esq. When married couples seek to divorce, many find that the legal separation is more difficult than originally imagined. Even when both parties are in complete agreement about dissolving the marriage, living apart comes with several hurdles. Navigating through the specific rules and laws regulating divorce and separation can be a challenge in itself. By law, a separation period begins when the couple’s relationship ends. The two parties typically begin to live apart at this time, but this isn’t always the case. This type of separation is not legally recognized, so all property and debts accumulated during this time are still considered joint marital property. 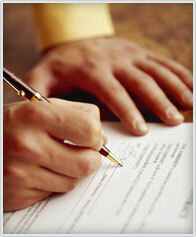 There is no need to file any forms with family court to initiate a trial separation. New Jersey does not honor legal separations, so understand that living apart does not change your marital status. New Jersey offers two forms of legal and permanent separations for couples. A divorce from bed and board’ is a legal court order that can help former couples agree on various issues without a formal divorce decree. It’s important to understand that the couples will remain legally married under this court order. There is no ‘legal separation’ in New Jersey, so you don’t need to be separated from your former spouse before initiating a divorce. If you and your former spouse need assistance with determining how to proceed, then don’t wait to contact an experienced family lawyer who can help. Request a call back from attorney Schwartz by leaving your name, contact information and a brief description of your claim on her online messaging service. Her helping hands are ready to support you through this difficult period, and you can rely on her experience and knowledge to serve your best interests. Family Law Attorney Cherry Hill NJ | Lois Garber Schwartz, Esq. from NextLevel.com on Vimeo.